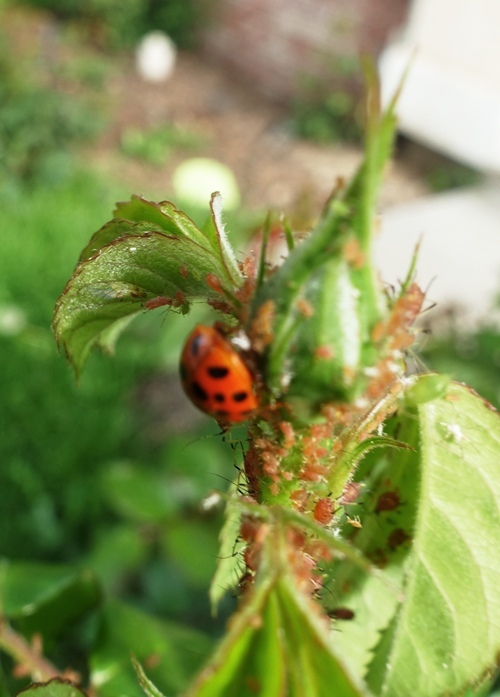 The ladybugs have been hard at work in my rose garden as they start to make a dent in the aphid population. 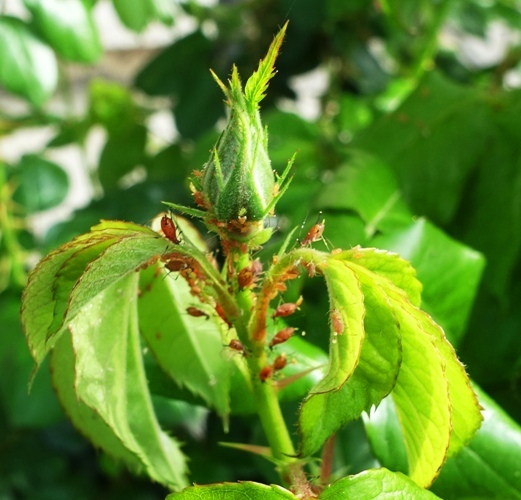 There are a lot of aphids on my roses, especially on my floribunda bush. 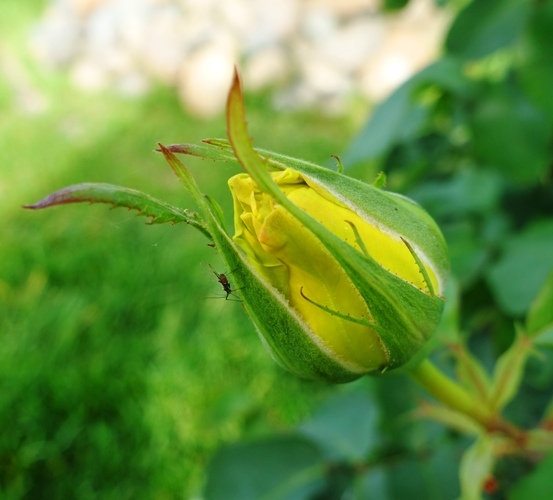 Here you can see a rose bud that is besieged by the little critters. Luckily the ladybugs are starting to get to work. 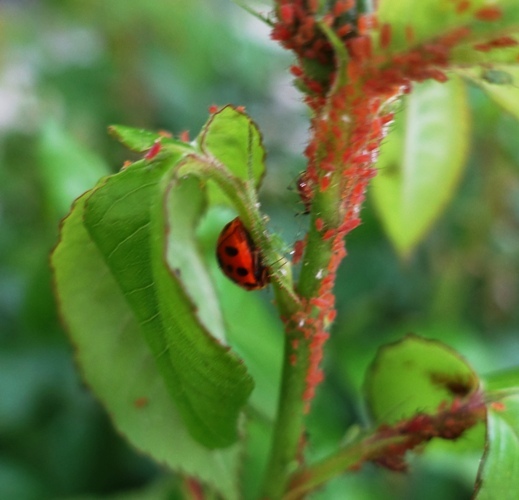 Here you see a ladybug that is starting to devour some of the aphids. The ladybugs have a lot of work to do, but I can already see some evidence that they are doing their job. 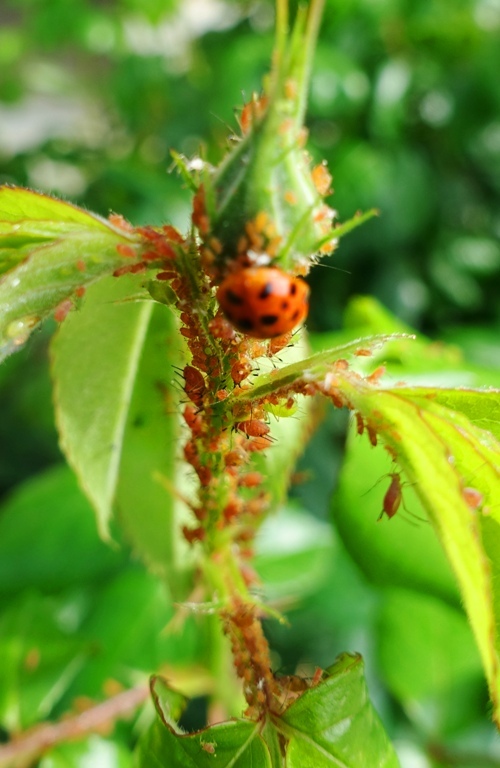 This entry was posted in California, Flowers, Nature, Seasons, Yard Work and tagged Aphids, ladybugs, pest control, Rose Bush, Roses, Yellow Rose. Bookmark the permalink.